SCD is a sudden and unexpected death that is usually caused by an underlying heart condition. Sudden Arrhythmic Death Syndrome (SADS) describes an unexpected death where no sure cause can be found. Sudden death syndrome can affect anyone, and usually does not come with any warning signs or symptoms. It is caused by a heart condition, usually inherited genetically, known as sudden arrhythmia death syndrome or sudden cardiac death syndrome. 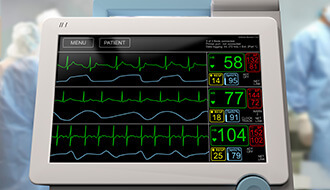 In sudden arrhythmia death, an abnormal change in heart rhythm, such as ventricular tachycardia, is the cause of death. In sudden cardiac death, the cause of death is an un-resuscitated cardiac arrest or heart attack. Both cases lead to a cardiac arrest, which causes the heart to stop pumping blood around the body. The majority of sudden death cases are caused by inherited cardiac conditions (ICCs), including structural heart disease and conduction disease. If you know of any family members with existing heart conditions or if there has been a previous sudden death in the family, including sudden infant death (SIDS), it is important that you get checked by a cardiologist, who can evaluate any potential risks and prescribe appropriate treatment. There are several diagnostic and screening procedures that can give you an accurate picture of your heart health and help a cardiologist to figure out the best methods of monitoring and treatment for you. Please come and speak to a member of our team as soon as possible if you have any concerns, are noticing symptoms, or have experienced the loss of a family member through SCD. We are here to help. Give us a call to make an appointment with one of our specialists. What is sudden death syndrome? Sudden death syndrome (SUDS or SADS) is a heart condition in which an abnormal change in heart rhythm causes a cardiac arrest or heart attack. What is the main cause of sudden death syndrome? Most sudden death is caused by an inherited cardiac condition. Brugada syndrome is the most commonly fatal of these. Any family history of cardiac conditions or sudden death is grounds to get checked out by a specialist, who can evaluate your potential risks and provide appropriate preventative treatment. 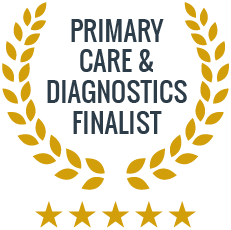 What kinds of diagnostic tests will I have to do? The cardiologist will recommend diagnostic testing based specifically on your personal family history and existing symptoms. The most common tests for heart health are noninvasive, such as ECG or angiogram.